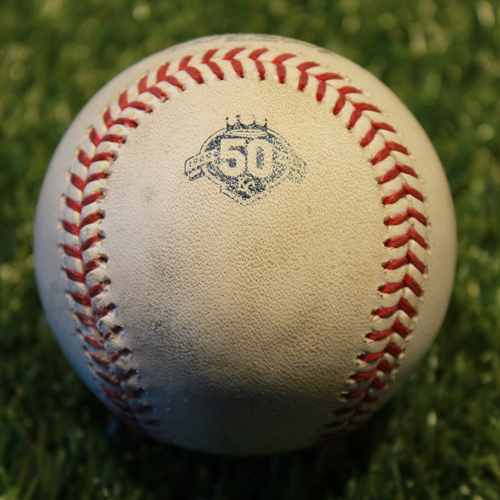 Bid now to win this game-used baseball pitched by Aaron Slegers on May 30, 2018. Escobar struck out swinging in the bottom of the third inning. Four-Seam Fastball - Pitch Number: 4, Pitch Speed: 91.2 MPH, Balls 1 Strikes 3.